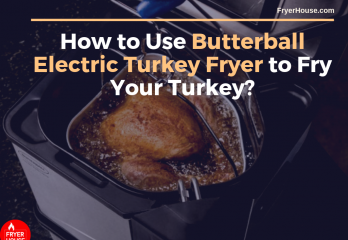 14 Tips - How to Use Butterball Electric Turkey Fryer to Fry Your Turkey? More and more people are enamored of deep fried food, and this has led to the increasing popularity of deep fried turkey. You can buy a good electric fryer from Butterball for this dish, but what should you do? 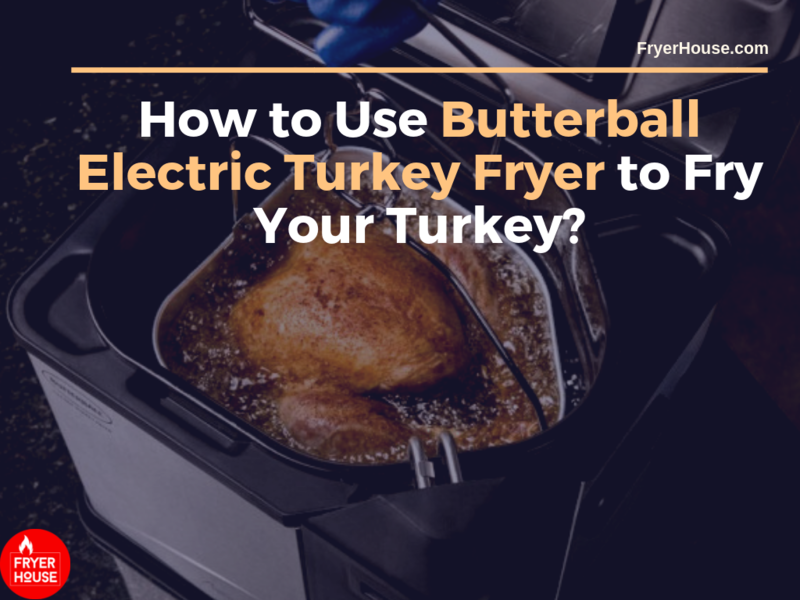 No worries; here’s a guide on how to use Butterball electric turkey fryer to deep fry your turkey properly. You can start with a fresh turkey to deep fry. If it’s frozen turkey, make sure that you thaw it completely. Remove the wrapper from the turkey, and then take off the neck and giblets. Fill up the turkey fryer with oil up to the maximum fill line. You’ll see this line on the inside of the fryer. Preheat the oil in the turkey fryer to 375 degrees F.
Let the oil heat, and meanwhile you can pat your turkey dry with paper towels. It’s important that you reduce the moisture from the turkey. You can also prepare your turkey with your preferred marinade, seasonings, or some injected flavor you like. Just don’t stuff the turkey, and instead you need to cook your stuffing separately. Just before you place the turkey into the oil, submerge the empty fryer basket into the hot oil for about 30 seconds. This step reduces the chances of the turkey sticking to the basket. Then you can remove it and use it to put your turkey into the hot oil. Once your fryer oil has reached the proper temperature, it’s time to put in the turkey. You can deep fry the entire turkey whole if it weighs 14 pounds or less, or if you’re using a Butterball XL Turkey Fryer. If the turkey weighs 15 pounds or more (and you don’t have the XL fryer), separate the thighs and the legs of the turkey from the breast and fry the pieces separately. Set the timer. You should probably set the timer to 3 to 4 minutes of deep frying for every pound. So if it weighs 14 pounds, the timer should range from 42 to 56 minutes. For turkey parts, the oil should be at a temperature of 325 degrees F. You’ll need to cook the turkey pieces for 4 to 5 minutes per pound. Cool all the white meat to an internal temperature of 165 to 170 degrees F. the internal temperature for dark meat should be around 175 to 180 degrees F.
Once the turkey is done, lift it out of the fryer gently. Place it on paper towels or a pan to drain the oil. Unplug the Butterball fryer, and then wait until it cools off completely before you clean it. Let the turkey be for about 20 minutes, then remove it from the basket and begin to carve. The simplicity of deep frying is one of the reasons why deep fried turkey is so popular. You reduce the chances of making a mistake, and you get a tasty treat in the end!